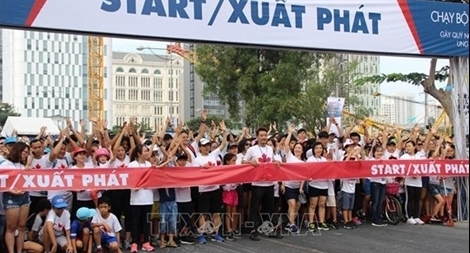 More than 24,000 people took part in the 22nd Terry Fox Run (TFR) in District 7, Ho Chi Minh City on November 18 to raise funds for cancer patients in Vietnam. The Red Cross Society (RCS) chapters in the central province of Quang Nam have raised over 101.6 billion VND (4.51 million USD) from the public since early this year to implement humanitarian programmes, contributing to ensuring social security in the locality. The annual “One heart – One world” exchange programme is scheduled to take place on April 16, aiming to raise funds for people with disabilities, orphans and those in difficult circumstances nationwide. Hanoi will invest in 10 urban railway routes from now until 2030 with total funds of more than US$40 billion.